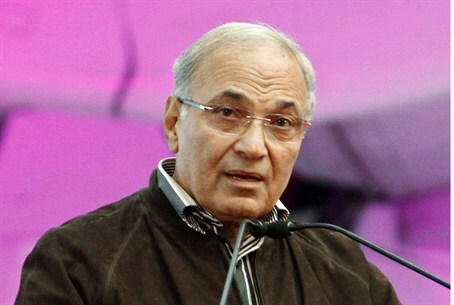 Ahmed Shafiq repeats his claim of victory in presidential runoff, accuses the Muslim Brotherhood of "playing games." Ahmed Shafiq, one of the two candidates for president of Egypt, repeated on Thursday his claim of victory in weekend runoff elections, The Associated Press reported. Shafiq, who was deposed President Hosni Mubarak's last prime minister, made the claim in a news conference, his first one since the runoff. AP reported that Shafiq accused the Muslim Brotherhood, whose candidate is running against him, of “playing games” to put pressure on election authorities before announcement of the official results. He also accused the group of striking “backdoor deals” with outside powers to sway the results and urged world capitals not to interfere. Shafiq has claimed victory in the runoff and the Brotherhood also declared soon after the election that its candidate, Mohammed Morsi, had won. Meanwhile on Thursday, the Brotherhood escalated its fight with the military, calling for a mass protest Friday to denounce what it called a power grab by the generals. AP reported that three major Islamist groups said they would join the protest in Tahrir Square. Thousands of protesters, mostly Islamists, gathered in Tahrir Thursday for the third successive day, AP reported, demanding the reinstatement of the Islamist-dominated parliament dissolved by a court ruling last week. They also called on the military to rescind a "constitutional declaration" granting the generals sweeping powers and stripping the next president of much of his authority. Egypt's election commission had been scheduled to announce the results of the runoff on Thursday, but delayed the announcement as it was looking into appeals from lawyers of both candidates into alleged campaign violations and disputed vote counting. The commission said it won't release the results till at least the weekend, "Saturday or Sunday," and possibly even later.